Taylor & Ana got married. It was a great day topped off with a great reception. I'm getting pretty good at this groomsman jazz, I must say. Although I didn't catch the Garter (I caught the last one at the last wedding I groomsmanned) it was successful and a truly memorable day. Taylor and I met during a study abroad program in Jerusalem a couple years back. After that experience I convinced him (it wasn't difficult) to move to Hawaii. It was there he met Ana and you get the picture what happened from there. I'm glad I had a chance to celebrate their togetherness and see it all come together. 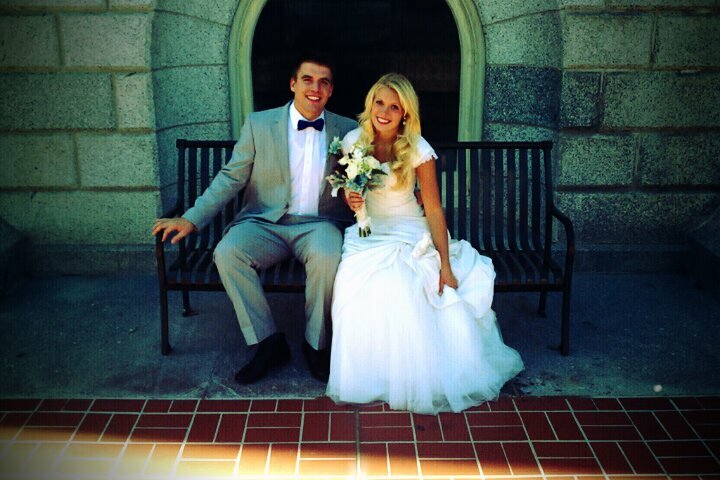 The fist picture is of the lovely couple just after their sealing in the Salt Lake Temple. The second is of me almost catching the garter ( I let Spencer get it. Sike, I didn't). The third picture is of the crew from Jerusalem. Some of the greatest people I know. When the heck did this happen??? ?